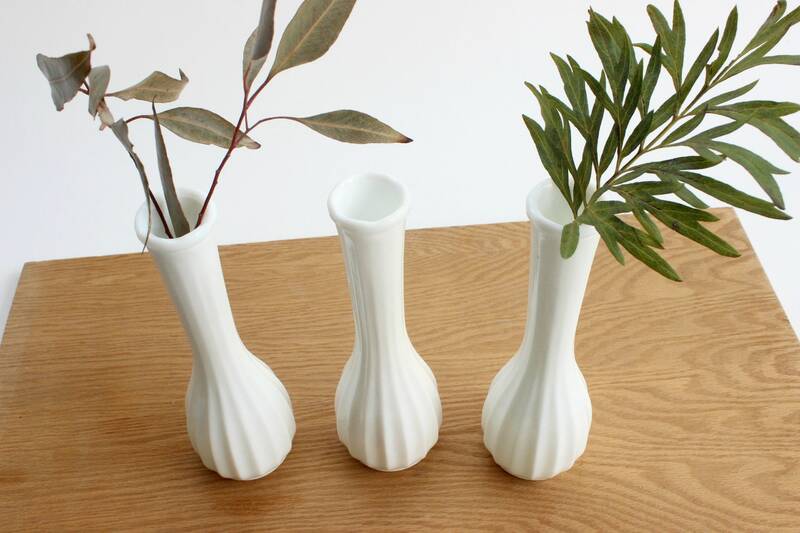 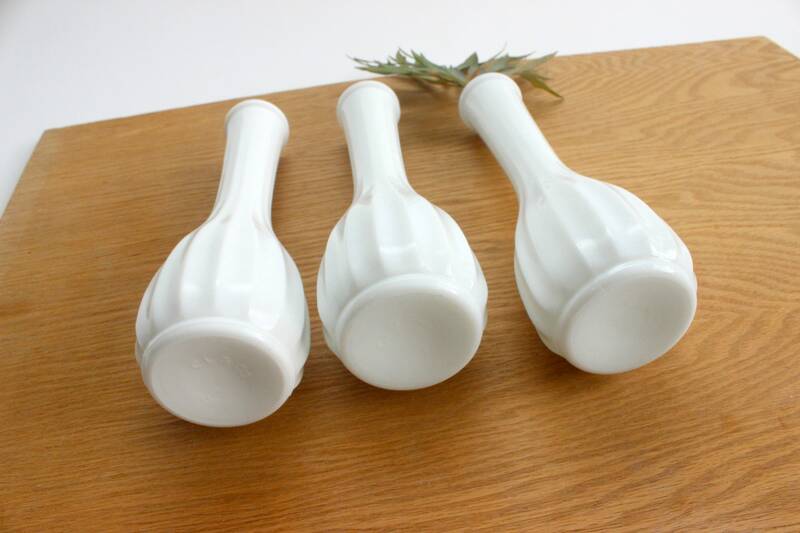 Collection of 3 - Milk Glass Bud Vases. 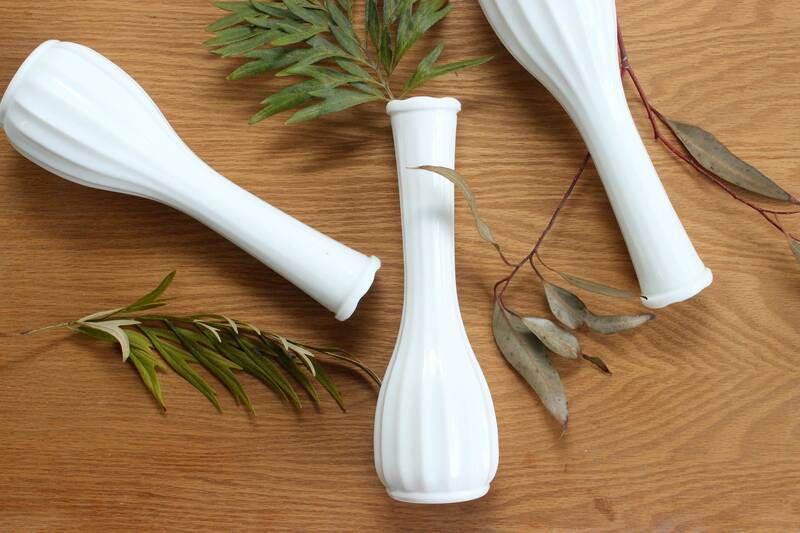 Matching vintage milk glass bud vases with a traditional ribbed pattern. 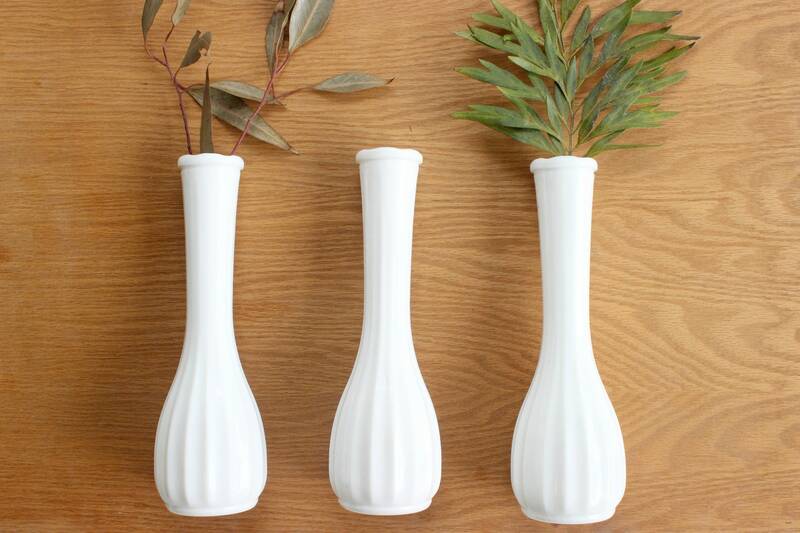 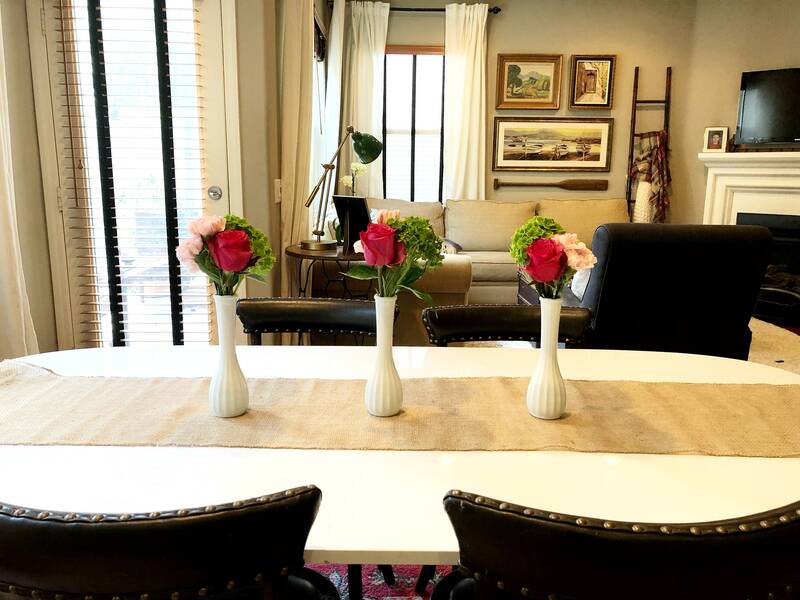 These three look beautiful displayed together on a shelf or as a centerpiece! 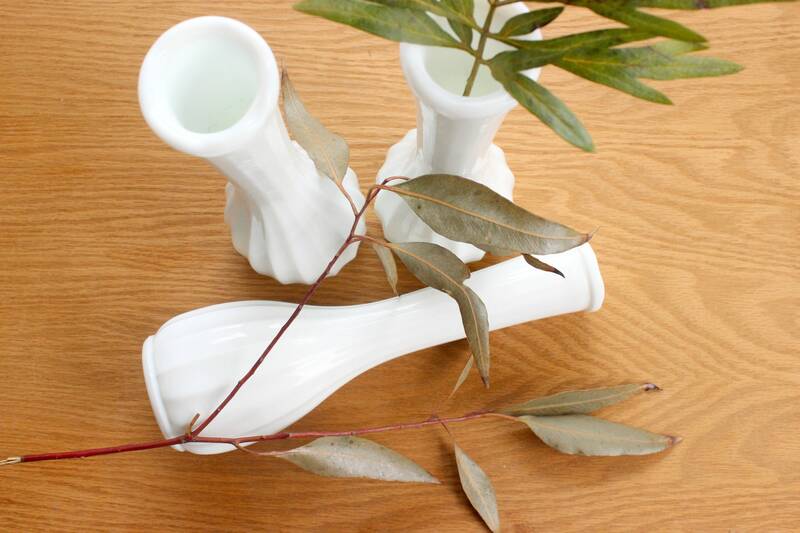 Vases measure 2.75 inches wide and 8.75 inches tall.